← Australian Shadows Awards finalists announced! 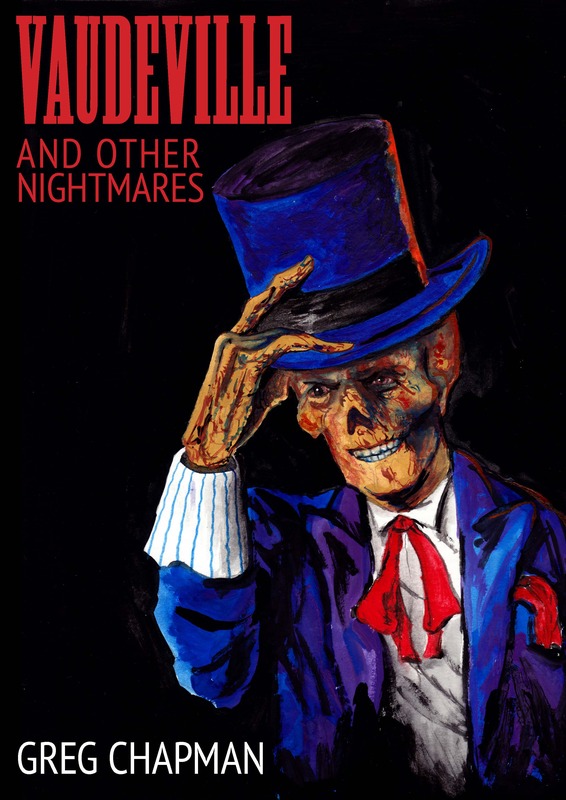 And I can finally reveal the full cover art for my forthcoming collection – Vaudeville and Other Nightmares. I created this artwork for the cover. Depicted is the character Mister Crispin, from the title novella, Vaudeville. He’s a nasty little fella who leads a band of demonic troubadours who lurk in the woods, preying on souls. You can read more about Vaudeville HERE and some more details on my collection can be found in my previous post. This entry was posted in Uncategorized and tagged black beacon books, vaudeville, vaudeville and other nightmares. Bookmark the permalink.